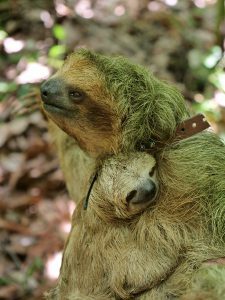 Chestnut Hill Farms is located in Costa Rica, just over the hill from Tortuguero National Park, or the “Costa Rican Amazon”. With abundant rainfall each year, our farms are able to thrive in this lush environment that supports a variety of wildlife. Chestnut Hill Farms maintains over 275 hectares of forest reserve, which serves as a home to three species of monkeys, the three-toed sloth, many classes of birds including toucans and parrots, deer, wild turkey and jaguars. Hosting this holiday season? 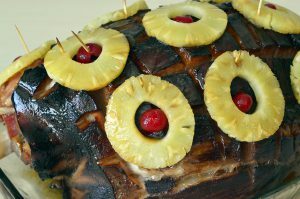 Try our juicy holiday ham with fresh pineapple and impress your guests. What’s better than the holidays? Food is a pivotal component to welcoming company, new and old, and they are guaranteed to be impressed with this easy to make version of traditional holiday ham. Grab your Chestnut Hill Farms Perfect Pineapple, a ham of your choice, and get ready to serve up a delicious meal this season. Looking for drink ideas to complement your party? Try our Perfect Pineapple Holiday Punch here!